An hour before midnight a gate opens in the heart of Stavanger. When entering, you will experience something very special. Arkivet Nattbar is one of Stavanger`s best nightclubs; intimate, funky and loud! DJs play all night long, giving you just the right amount of that funky feeling. Feel the rhythm? 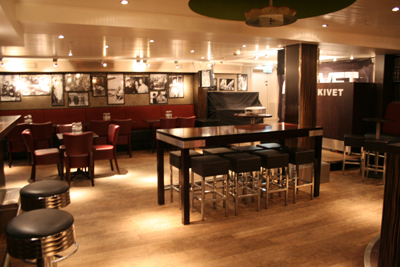 You can also book Arkivet Nattbar for unformal arrangements, suitable for up to 90 persons. Interested in using Arkivet as a meeting or conference room? Arkivet can be booked for daytime events. We have a projector, projection screen and wireless network. Please contact us for more information.